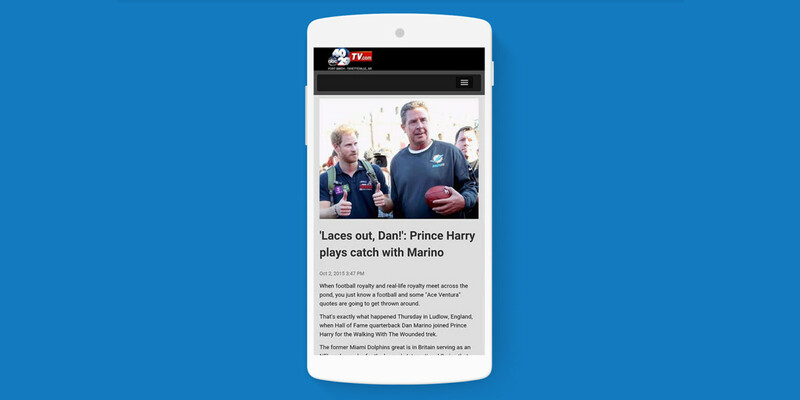 Google announced today that it will begin routing traffic to Accelerated Mobile Pages (AMP) by late February 2016. The company previously revealed plans to do so at some point next year, but hadn’t specified when that might be. The AMP project aims to deliver fast-loading content from numerous publishers to mobile users, similar to Facebook’s Instant Articles feature. In a blog post, Google says that Twitter, along with messaging apps Line, Viber and Tango, will begin linking to AMP content early next year. Pinterest has already begun testing AMP links with a small group of partners in its mobile apps and found that AMP pages load four times faster and use eight times less data than traditional mobile-optimized pages. The first animation above shows Pinterest’s mobile app loading a normal page; the next animation (click the right arrow in the gallery above to view) shows the app loading up an AMP page. Google adds that it has been working to enhance its AMP format with support for dynamically fetching fresh content and responsive resizable iframes to display content from other sources without breaking page layouts. It’s also signed on more publishers from around the world, including Network18, NDTV, and DNA India in India; Televisa and Grupo Expansión in Mexico; Fox News in the US; and Line, Nikkan Sports, CINEMATODAY, and IID, Inc. in Japan (view all the new publisher partners here). Google launched a technical preview of its AMP framework in October. It’s designed to enable publishers to deploy content on lightweight pages, which can optionally work in tandem with Google’s caching infrastructure around the globe to provide those pages much faster to mobile devices.